If you want to be less dependent on oil and enjoy the sounds of the birds while you mow your lawn, consider using a scythe. As Richard Scott explains in the following video, grass cuts best when it's dewy, making early morning an ideal time to mow. You're unlikely to hear any complaints from your neighbors with this quiet tool, though you may get some interested stares at first. 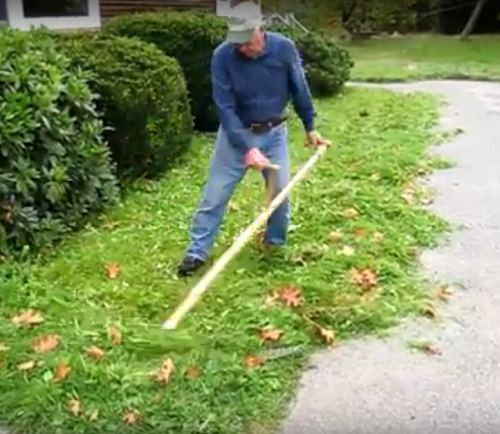 And, as you'll see in the video, you can easily cut around emerging spring flowers and plantings. For more tips on lawn mowing, click here.